The People: Welll helloooooo friends! 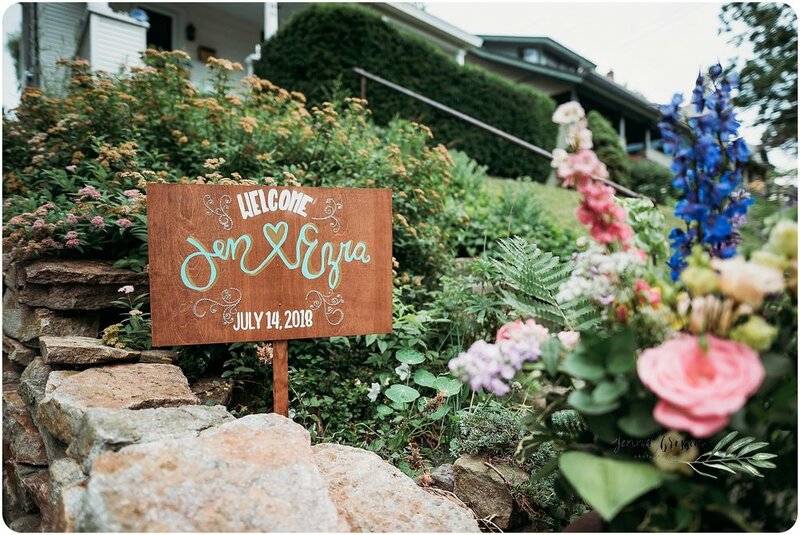 I’m so so happy to be back blogging about Jen and Ezra’s July wedding! If you remember, they were featured on here recently with their Shelburne Farms Sunset Engagement Session (link here to jog your memory). 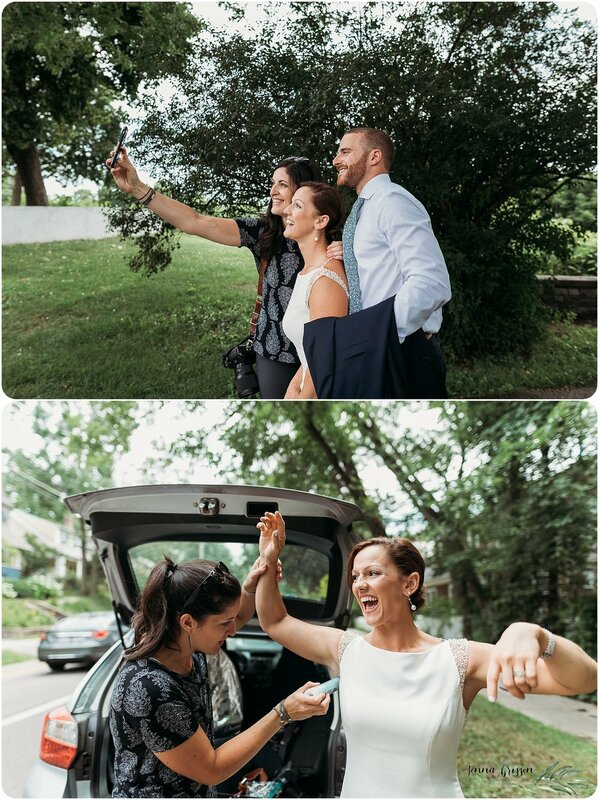 I’ve known Jen for many years and was so honored when she asked me to document the day for them. Being a Vermont wedding photographer has so many perks, but one of them is ABSOLUTELY without a doubt being able to work with some really cool, down to earth humans that just love the heck out of each other. 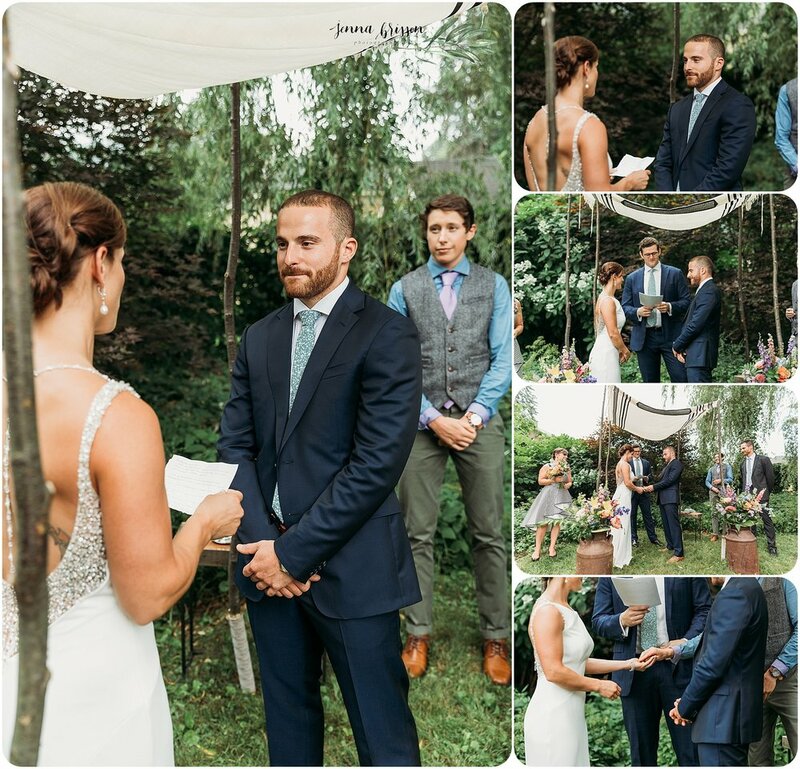 Jen and Ezra's ceremony was held at a friend's house, who generously let them borrow his backyard -- and what a gorgeous one it was! 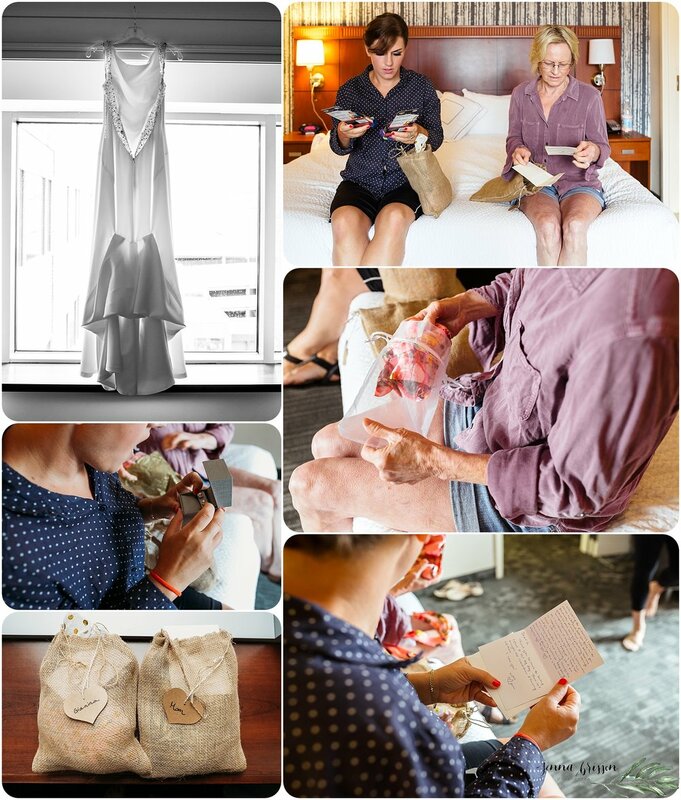 Their ceremony was intimate and thoughtful and full of laughs. From there, the guests all walked along behind Jen and Ezra as they walked down to Arts Riot for their reception. And then? Party on, people!